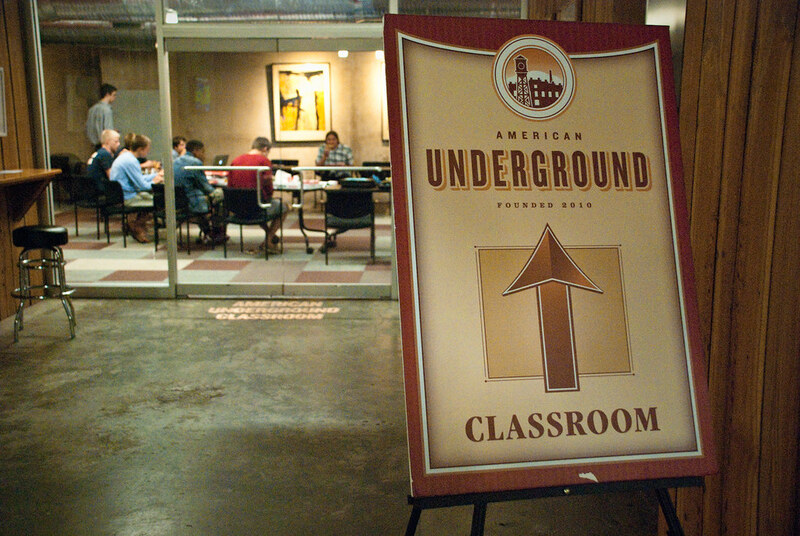 American Underground is a space for entrepreneurs, startups, innovators and investors. Collaborative teams build companies of the future in digital products, technology and healthcare. One of the great success stories in the Underground is iContact, which sold in February of 2012 for $180 million. Other well-known tenants include Triangle Startup Factory, Groundwork Labs, Idea Fund Partners, NC Idea and the Council for Entrepenurial Development (CED). Partners include the Durham Chamber, the RTP Foundation, Duke, NC Central, NC State and the University of North Carolina at Chapel Hill. To find out more about programs and resources at the American Underground, visit our website at AmericanUnderground.com.